The Todoist cloud-based task manager app for Android smartphones and tablets has been given a significant update that brings new search powers, flexible reminders and simplified notes to the platform, as well as ushering in an overall redesign to keep it in line with updates to Android’s core styling. 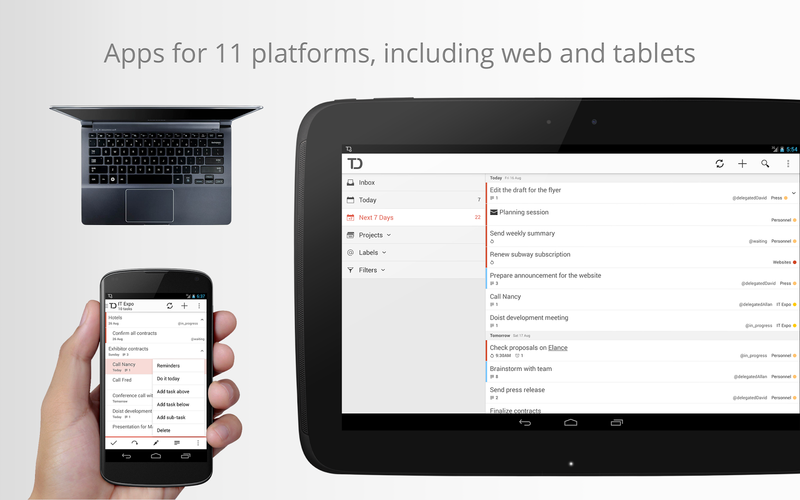 The updated app, Todoist 2.0, was released today and reserves most of the new features for its premium users. For example, the full-text, date and conditional search functionality is only available for premium members, as is the simplified notes feature that allows users to create tasks, notes and reminders simultaneously, rather than having to do each individually. The company claims that it is the only task management app available on Android that can “create a perfect hierarchy of projects and tasks while providing support for sub-­tasks and sub-­projects which can be nested up to five levels for optimal organization”.